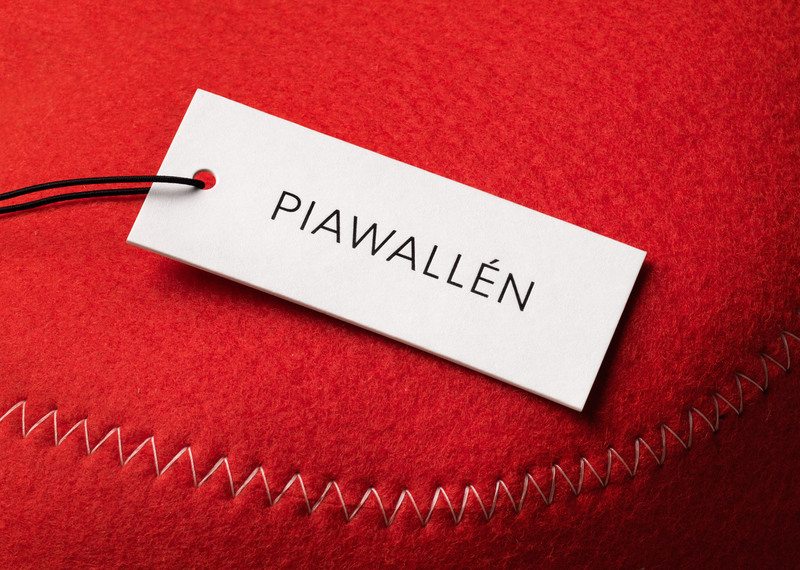 Pia Wallén is one of Sweden’s most celebrated designers, known first for her iconic felt slippers with signature zigzag stitching, which are today a modern classic. 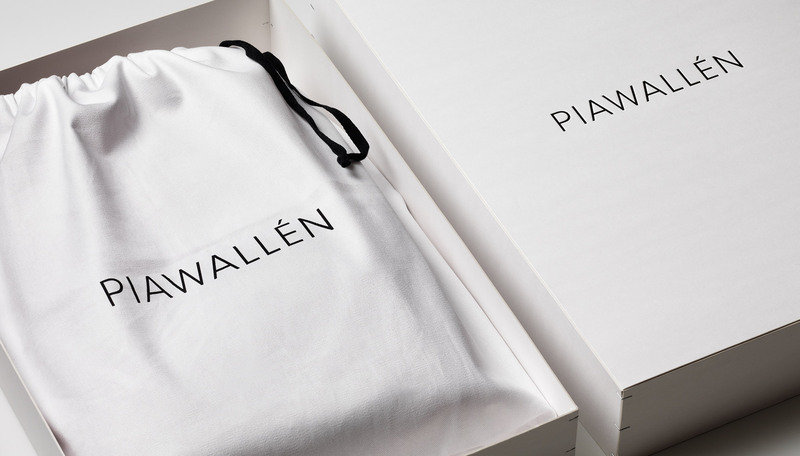 This comprehensive identity update, packaging and webshop provided a strong and unified brand presence allowing Pia Wallén’s products to be more accessible both locally and internationally. 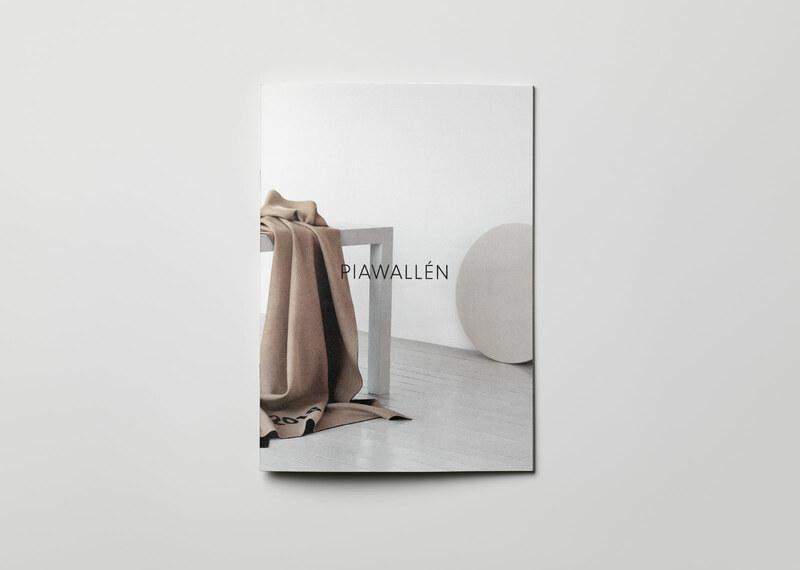 Inspired by the northern climate, Wallén uses materials and techniques borrowed from her Scandinavian heritage. 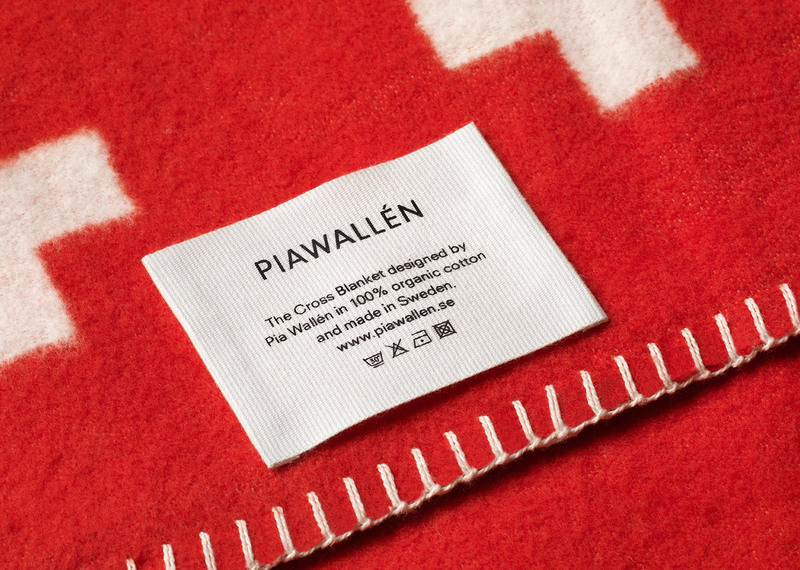 Pia Wallén is one of Sweden’s most recognized designers, known for her classic felt slippers and Crux wool blanket. 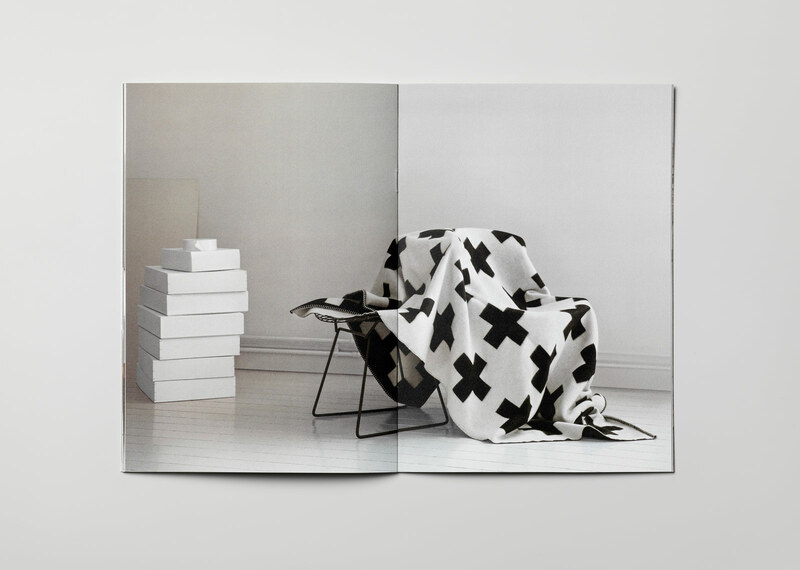 Inspired by the northern climate, Wallén uses materials and techniques borrowed from her Scandinavian heritage. 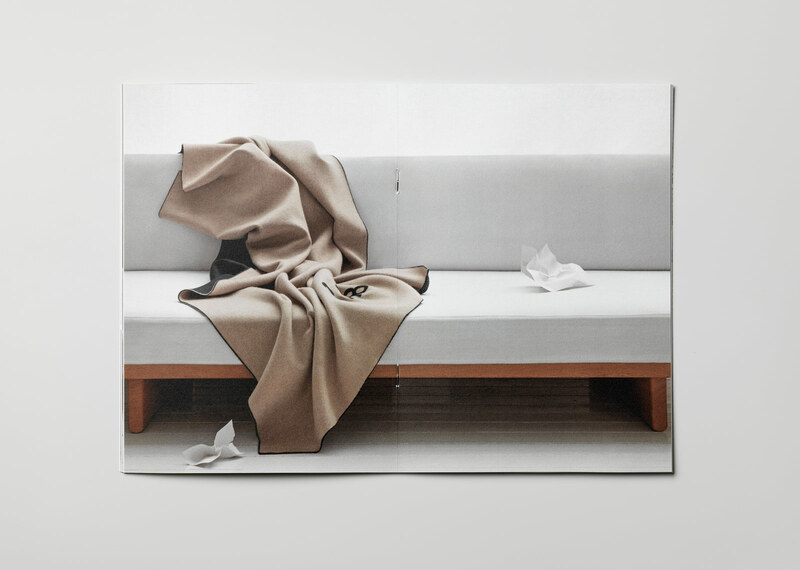 Her collections bridge the boundary between interior and fashion, and often designed with a playful expression. 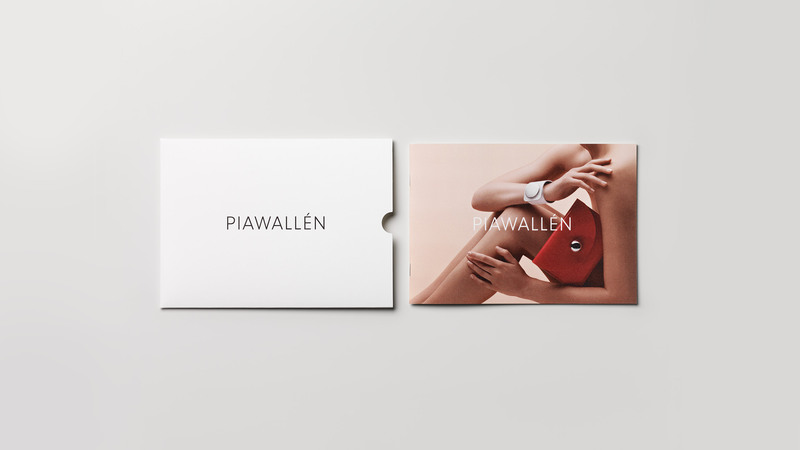 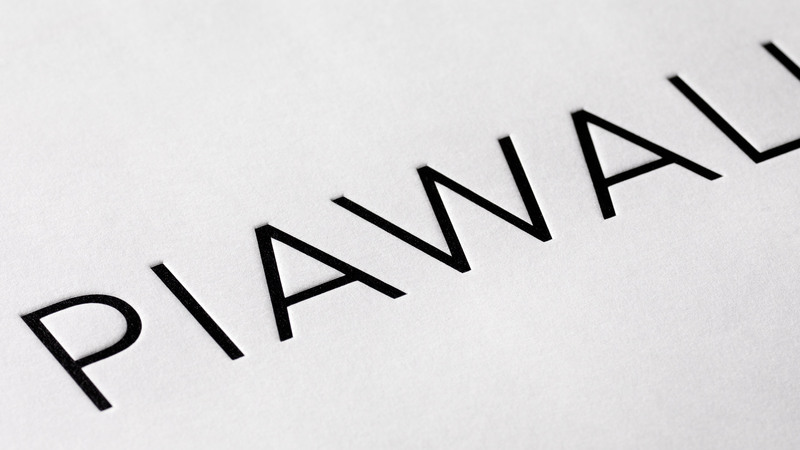 Pia Wallén needed a new, more contemporary and relevant graphic identity that would function across all brand touch points and create a strong unity between the webshop, stationery, packaging, labels and hangtags, print material and point of sales communication. 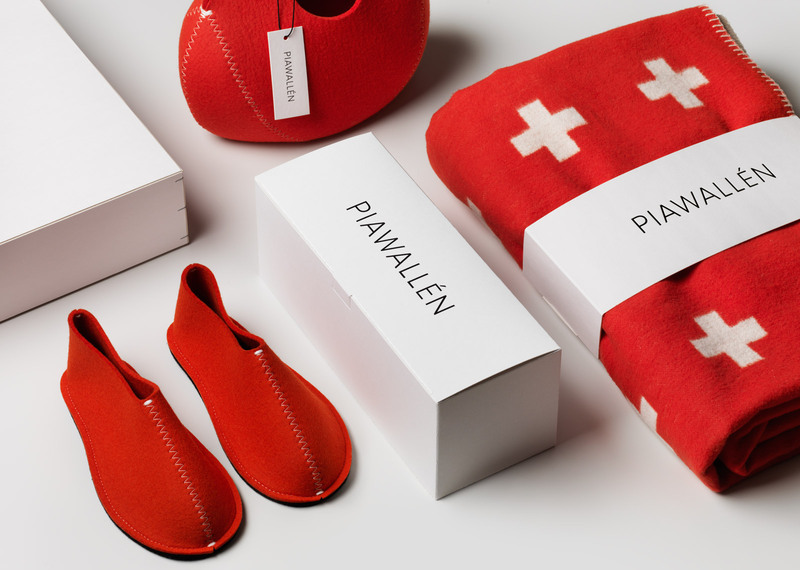 The typography for the design of the identity was inspired by the zigzag stitches of the felt slippers and bags, a central design element in her work. 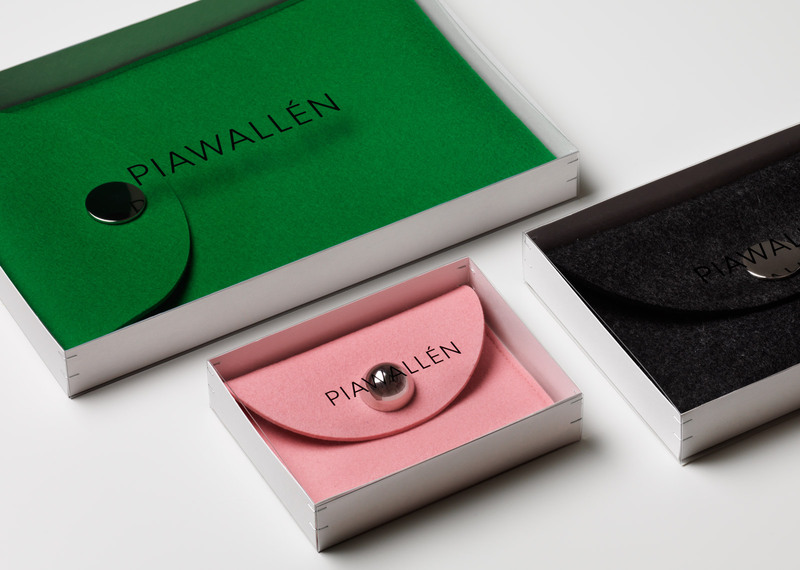 The packaging and print material was designed to both display the products and reflect the bold simplicity of her work. 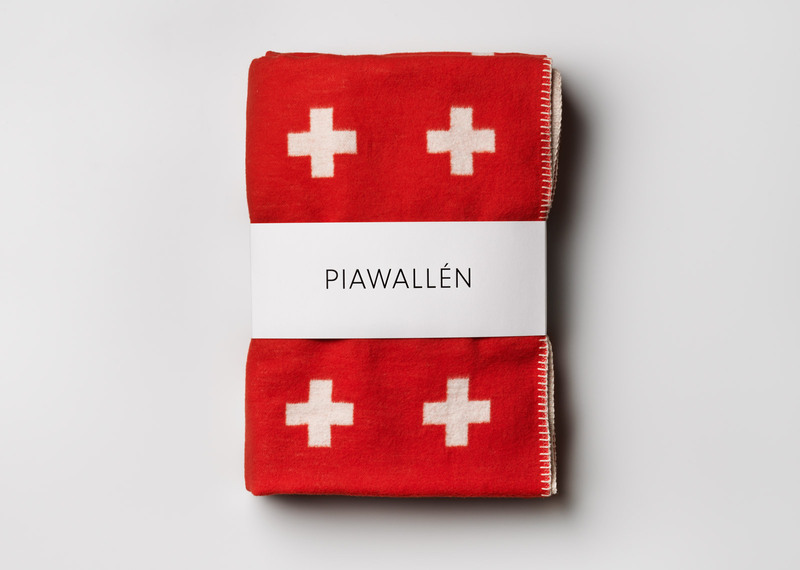 The material for the packaging was selected for its tactile and robust quality, with techniques that reflect the craftsmanship of the products, such as letterpress printing, embossing, hand-stapled corners along with cotton canvas dust bags.